Prime Minister Netanyahu on Monday welcomes German Chancellor Angela Merkel, along with 16 of her government's ministers. 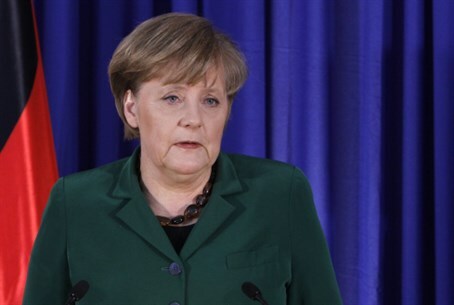 Speaking at a meeting of the Likud-Beiteinu Knesset faction Monday, Prime Minister Binyamin Netanyahu discussed the upcoming visit of German Chancellor Angela Merkel, along with 16 of her government's ministers. Merkel is set to arrive Monday night, and Netanyahu himself is set to leave for a visit to the United States next week, he told MKs, pointing out that he had three objectives for both visits. “One is to continue with actions that will ensure that Iran cannot develop nuclear weapons or fire nuclear weapons,” Netanyahu said. Netanyahu said that he welcomes Merkel's visit. “The German Chancellor has many times spoken out against boycotts of Israel, and for this and other reasons Israeli citizens value their relationship with her,” he said.